At the planning stage of our Sandown Road Cycling show we thought it would be really cool to have a bike gallery area with all of this year’s hottest machines displayed on stands and a little bit of space around them so that you could get up close and have a good old ogle. With the show over we obviously returned all the bikes, but before they headed back home, we put them through our photo studio to get some beautiful shots of them, for no reason other than that it’s nice to look at all of these hot bikes in one place. With space a little tight, we’ve created three categories. For the bikes we’ve seen recently (or a lot in the past) we’ve given less than to the ones that we’ve not really featured before, which get the full treatment. 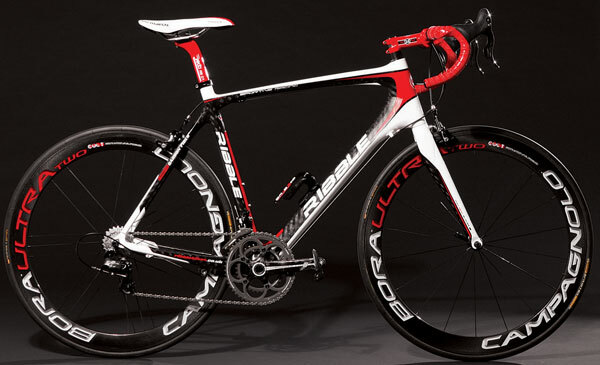 When a brand like De Rosa, with over 60 years of frame- building heritage, goes all out to impress, the Super Record EPS-equipped Protos is what you get. It’s certainly a no-expense-spared approach – at £12k the Protos is certainly in contention for the most expensive bike at the show. 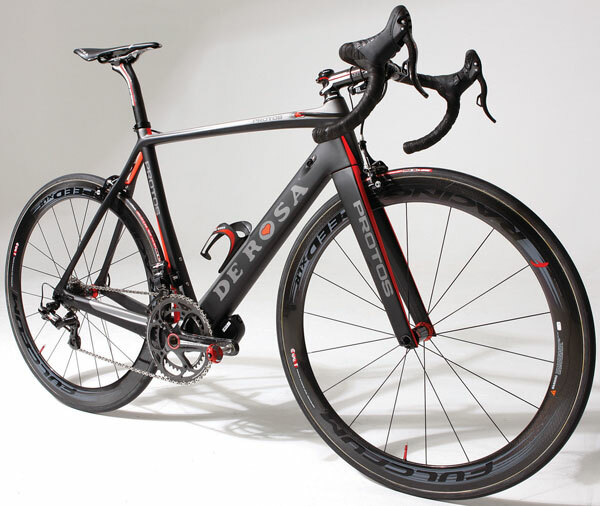 De Rosa claims the Protos is the “essence of materials, technology and art” built with the mantra of “the union of science and aesthetics”. It’s hard to believe you’re looking at a sub-800g frameset when you see the enormity of the down tube, bottom bracket and chainstays. categories. For the bikes we’ve seen recently (or a lot in the past) we’ve given less than to the ones that we’ve not really featured before, which get the full treatment. 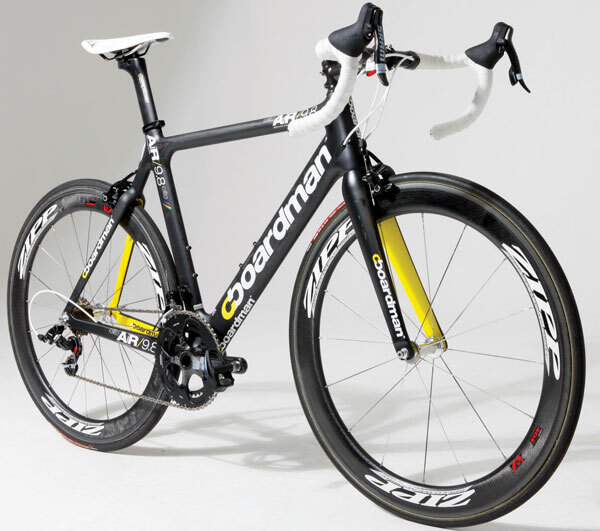 Swap out the Fulcrum wheels plus a few select finishing kit upgrades and you’d easily add another grand – or two… Scary. Where does it end? THE KVF or Kamm-tail Virtual Foil has been used in aero and automotive industries for years. 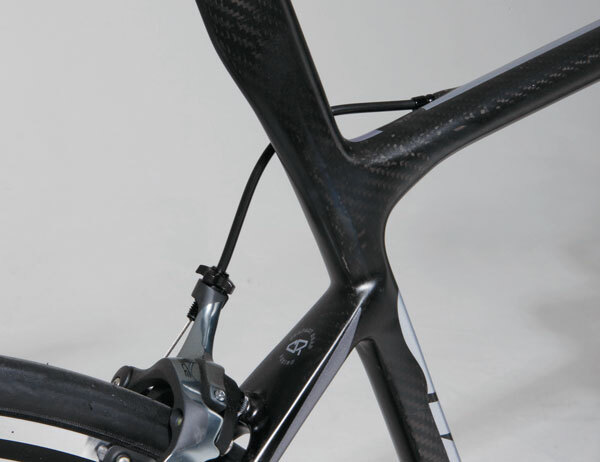 In effect, an aerofoil tube has the long and thin second half cut away: the air has already been ‘turned’, continues to follow the shape of the profile and the UCI are happy. Somehow the launch of the Speed Concept time trial bikes passed us by. 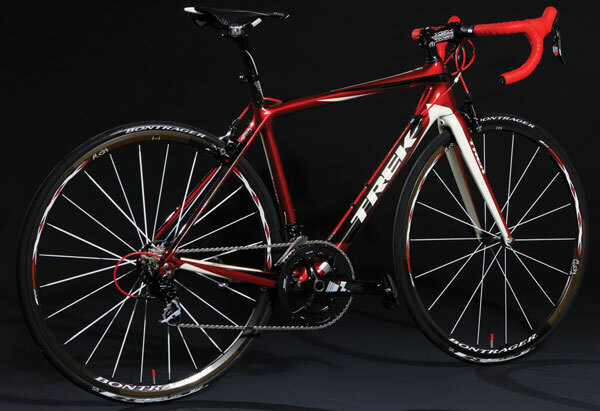 What a shame, as this bike puts Trek right to the front of the most desirable list for the race of truth. 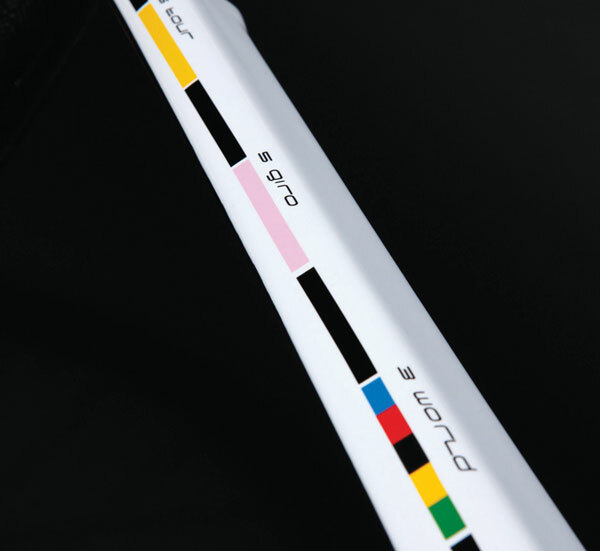 Trek’s cut off Kamm-tail tube shape stays within the UCI’s 3:1 aspect ratio rules but mimics longer, faster aero tube shapes to give a very slippery frame. 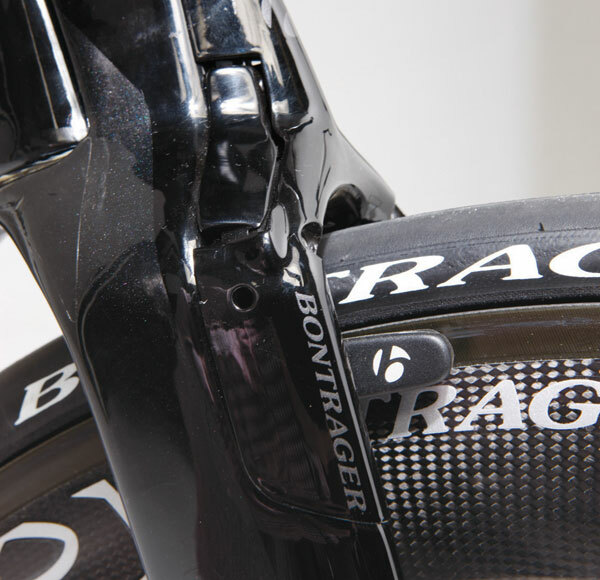 We just love the hidden brakes that only reveal themselves when they’re applied. All this sleekness and clever hiding doesn’t come without a cost though – and that’s not just in cash. The pro mechanics tell us it’s “not the easiest to work on”. conventional, albeit premium, construction techniques and materials. THE Graal might have been around for a couple of seasons but, like Wiggo, it shows no signs of slowing down. The sleek lines earned it many a lingering look. LAUNCHED in 2011, the McLaren Venge took an age to arrive and with so few available, it’s clearly a big draw. 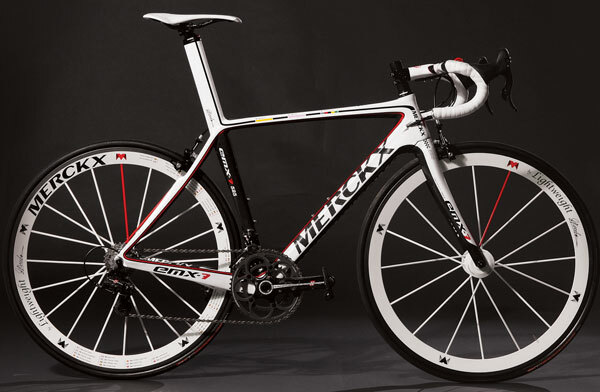 Will we ever see another McLaren-branded bike or was this a one-hit wonder? 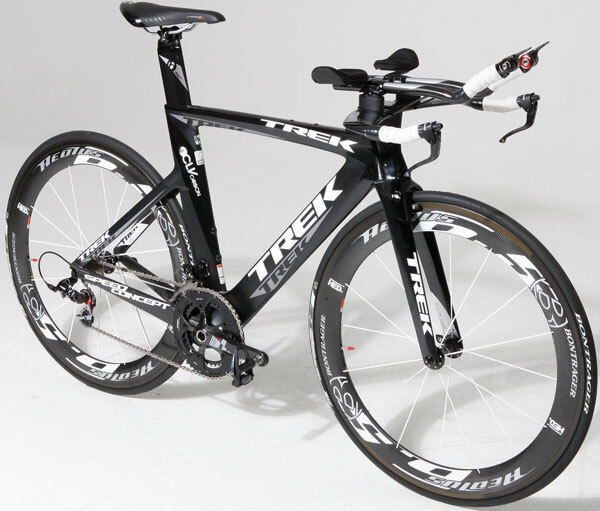 TREK’S Project One customisation program means you can have just about anything you like. This one’s a women’s specific design, but we love that most people won’t know. 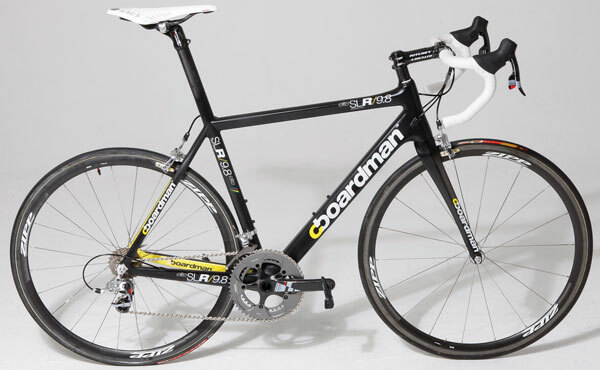 SUPERLIGHT Racing, Boardman’s ‘regular’ race frame, has been ridden and rated by us and this, the top version, will float any racer’s boat particularly those looking for light weight without spending the earth. WHEN we first saw this flyweight at the launch we were smitten and it was no different at the show. 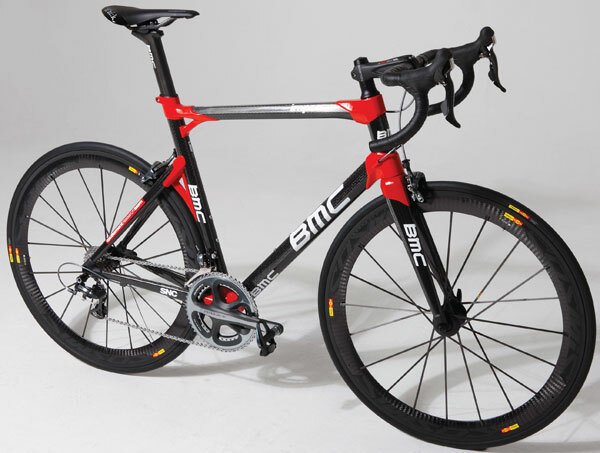 At just 695g for the frame, it’s no surprise that the complete bike ends up well below 7kg with carbon, tubular DT wheels, SRAM Red and eclectic parts mix. MADE by robots in Switzerland, the Impec frame sees about five people touch it from start to finish. Impressive, but as they’re a little slow to come off the production line this is the first bike we’ve actually clapped eyes on despite it having been launched over 18 months ago. 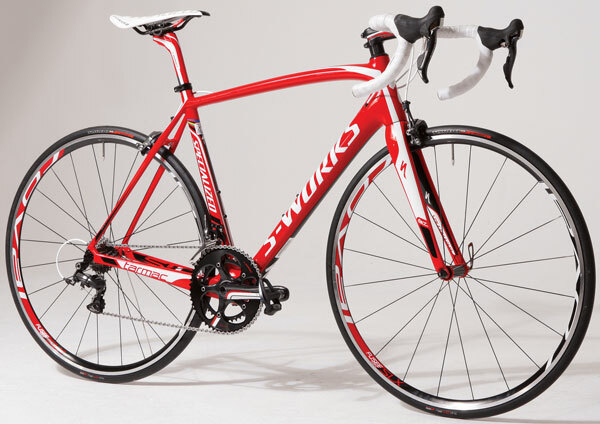 WILIER’S striking Zero 7 is hard to miss. 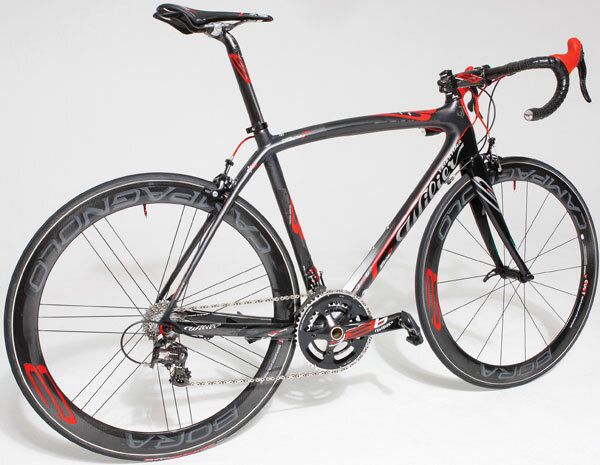 Its Italian flamboyance might well provoke a love or hate reaction,butlookcloselyand this bike leaves little to be desired – a sub-800g frame draped in a full Super Record groupset and Campagnolo’s Bora wheelset. The stuff of dreams. 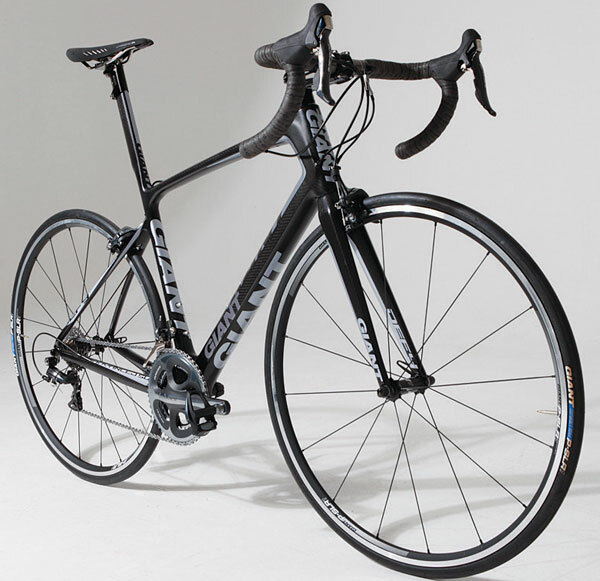 THE steady evolution of the Tarmac continues year on year with latest version being the SL4. 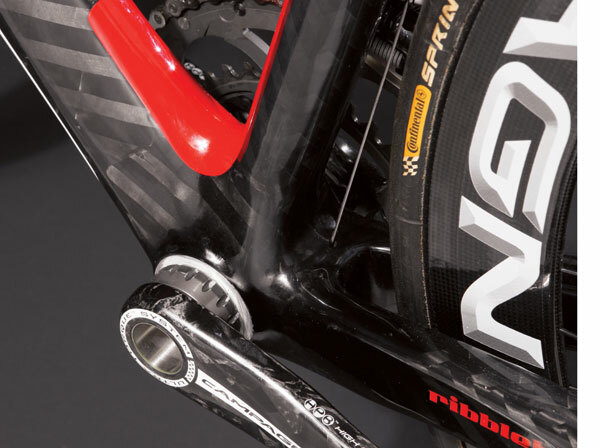 The biggest innovation must surely be the Cobra head tube where the top tube wraps around the head tube to increase front-end stiffness without a huge increase in weight. 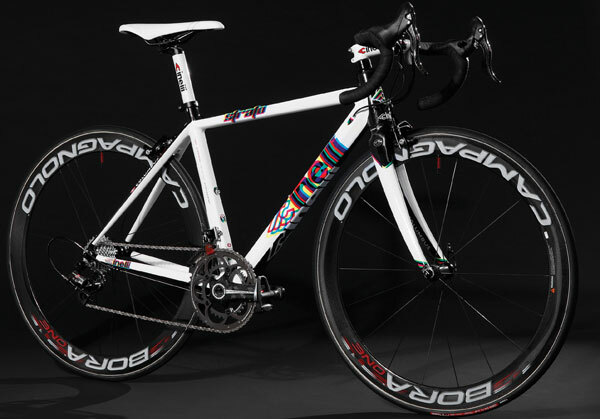 IF there is one bike that must now need no introduction to CW readers, if not the world, this season it’s the Dogma 2. 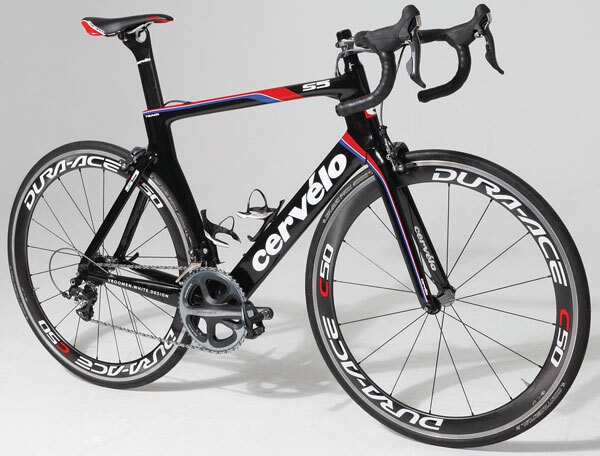 We loved it when we rode it, but the most desirable version, Cav’s World Champs one, should be arriving in shops soon. 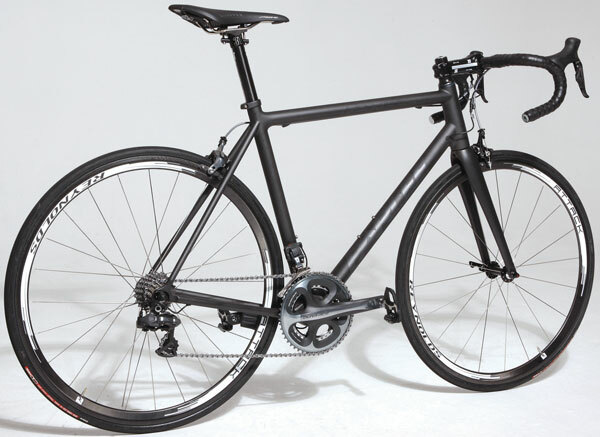 Ribble’s Bikebuilder+ program online makes ordering a bike a really simple process: select the frame you want, the basic build is loaded, then alter parts to your heart’s content. Simples. 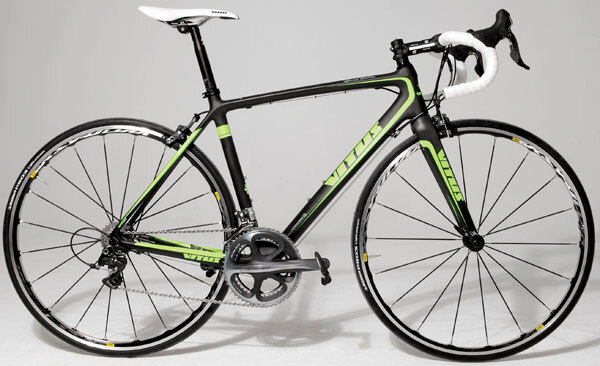 Ribble’s latest carbon sportive machine may not have all the bells and whistles of some of the other jaw-droppers here, but neither does it have a £10k+ pricetag on it. 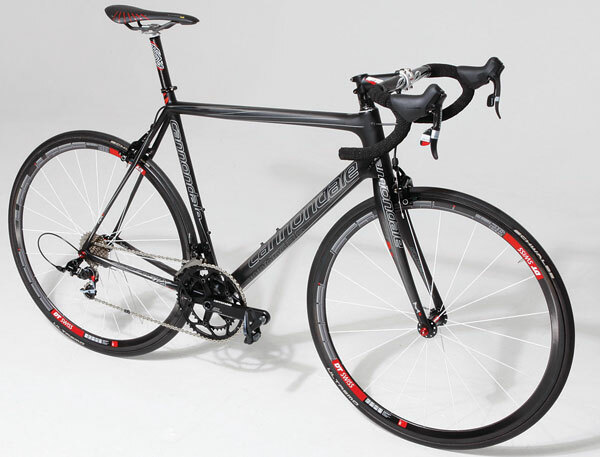 We all know it’s great to drool over the stuff we can’t afford, but the reality is the Ribble’s sales will probably be greater than all the others here put together. 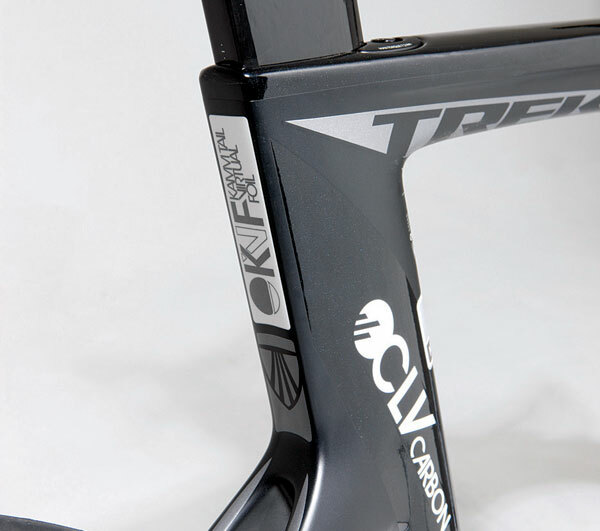 Its Toray carbon frame is under a kilo and with customisable spec options it offers superb value for money. Deservedly it had more than its fair share of onlookers and plenty of favourable comments to boot. ONE thing Kelly wouldn’t compromise on was his preference for a round handlebar. The classic-curve 3T bars are almost identical in shape to those he rode to all his Classics victories. 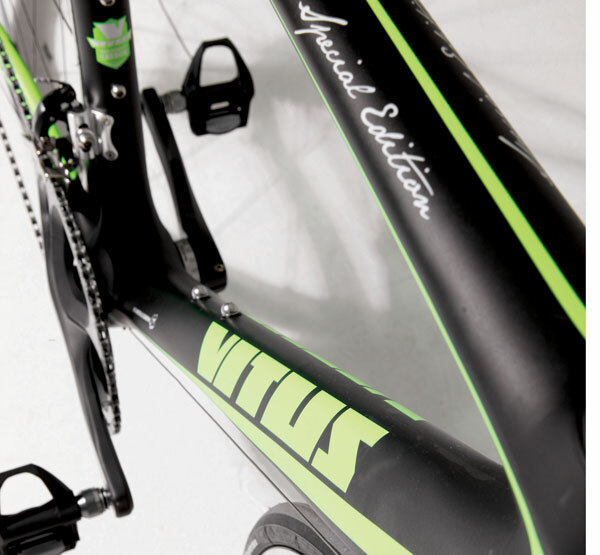 THE Sean Kelly and Vitus connection is long standing – almost all of the Irish legend’s victories came on board one of the French bike brand’s bonded aluminium 979s. It was therefore logical that when the iconic brand was relaunched, the man himself would get involved. 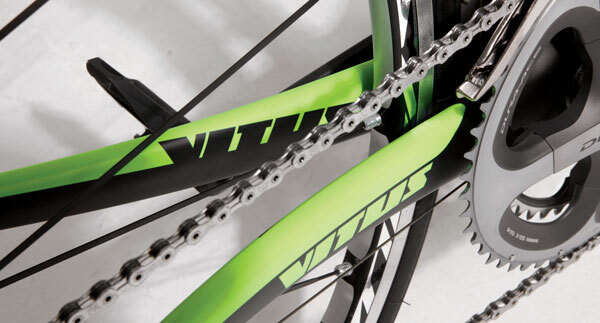 Thankfully, the technology has come a long way and the carbon-fibre Vitus machines useasub-1kg, high-modulusframeset. Oncetheseven-timeParis-Nice winner was happy with the geometry, his name could be applied and he could get down to the important business of putting together this great- looking machine complete with his own wish-list spec. THE juxtaposition of stealthy matt black and grey with bold white logos works surprisingly well, plus the Xelius 900 has plenty of subtle qualities that warrant a closer peek. 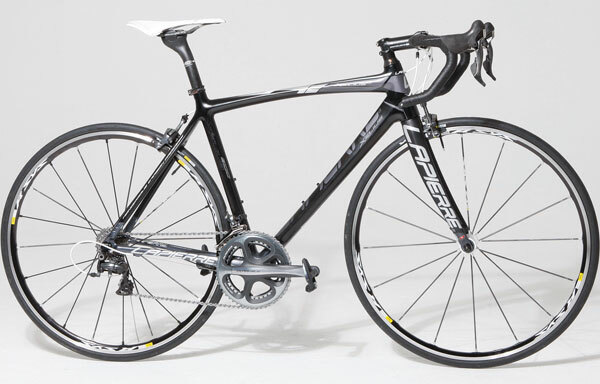 FEATURING a lighter frame than Giant’s pure race bike, the integrated post-equipped Defy Advanced SL-0 shares technology with the team bike, but offers a less punishing ride, without losing any of the handling or performance. No wonder it got the serious sportivistes salivating. 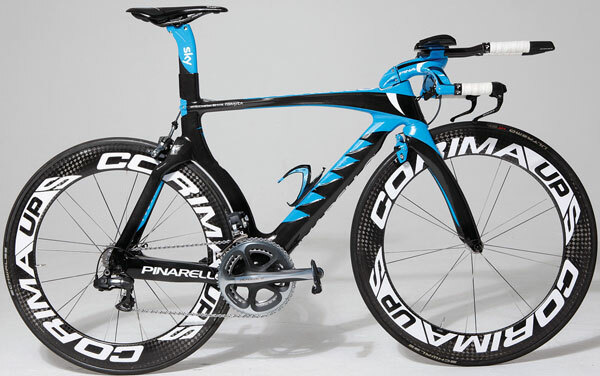 ONE of the aero road machines that we really rate. Its low drag coefficient and great geometry, sensible specification choices and sensible pricing mean it’s a really winner. IF you missed the launch of the S5, where have you been? 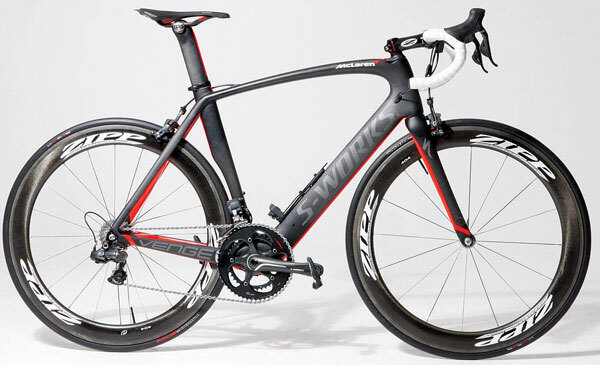 Fast, light and stiff, the S5 ticks all the boxes. The VWD is the top of the range, but is in such short supply that this Team model is its stand-in. 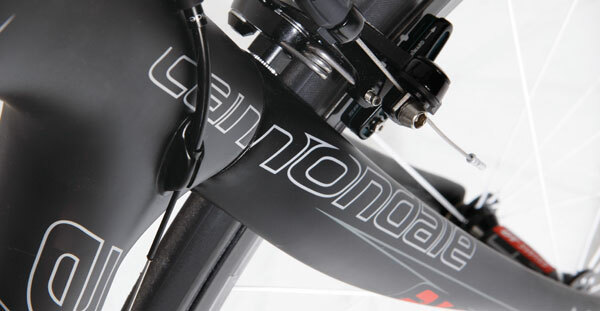 FOR a long time Cannondale stuck with aluminium as its frame material of choice. 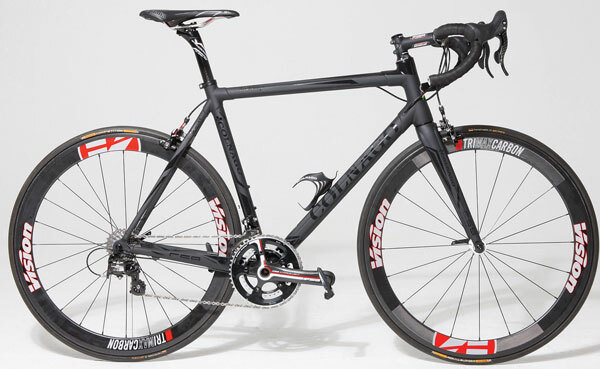 The top stuff is now carbon, but the CAAD 10 is still an amazingly good bike and shows race machines don’t have to be expensive. 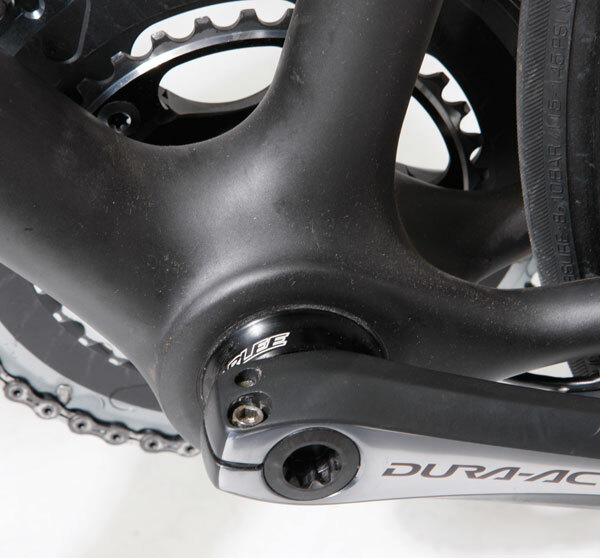 The Z5SLi is Shimano only, for now. 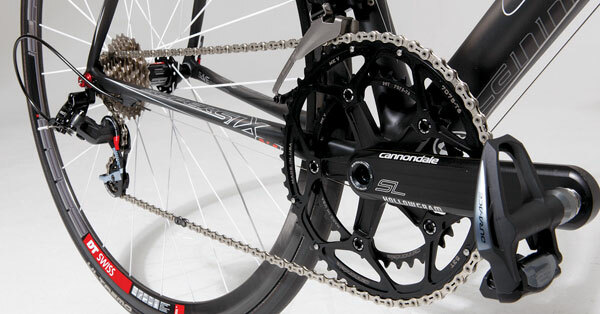 The different sized connectors for Campagnolo’s electronic groupset require yet another design change. You cannot rush perfection. 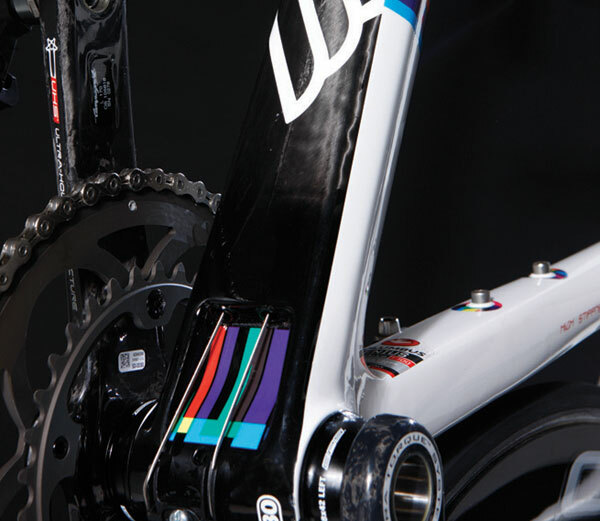 PARLEE isn’t the showiest of brands, but that is part of the attraction. 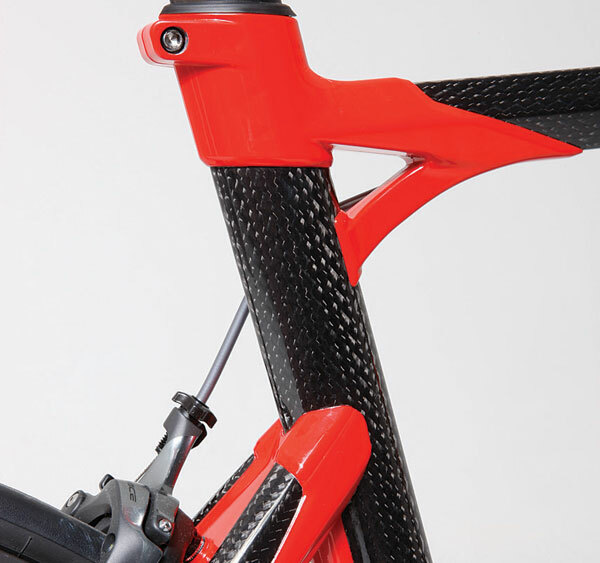 Bob Parlee learned his trade buildingcarbon-fibreboats,andthislay-upknowledge has allowed him to develop – arguably – the best- handling machines on the market right now. With no fancy tube profiles or gimmickry, the magic happens inside the tubes, and in their joining together. 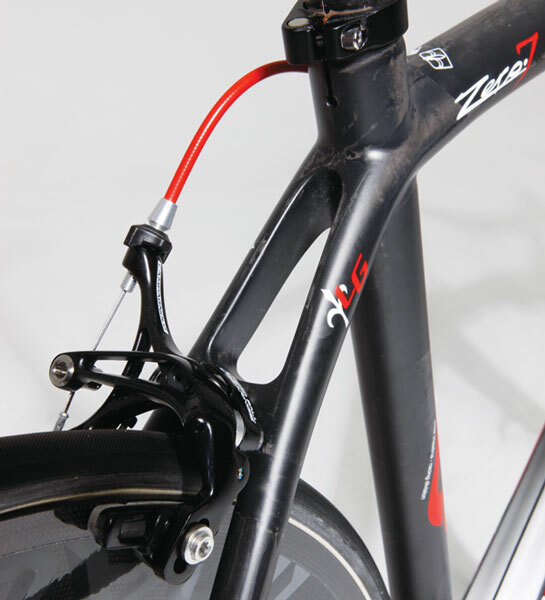 This Z5 SLi was one of the first of the new lay-up designed to accommodate Shimano’s electronic gearing. Rather than simply making holes for the electronic wiring, a whole new schedule was developed to maintain the fabled handling. Now that’s dedication! 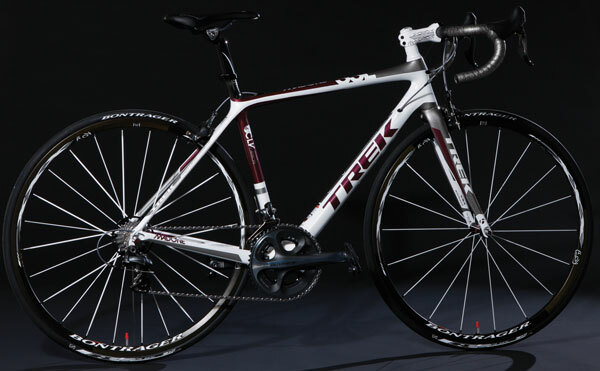 TREK’S 6 series bikes are getting a little long in the tooth, but they’re still great technical bikes nevertheless, and thanks to the Project One customisation program, no two have to be the same. 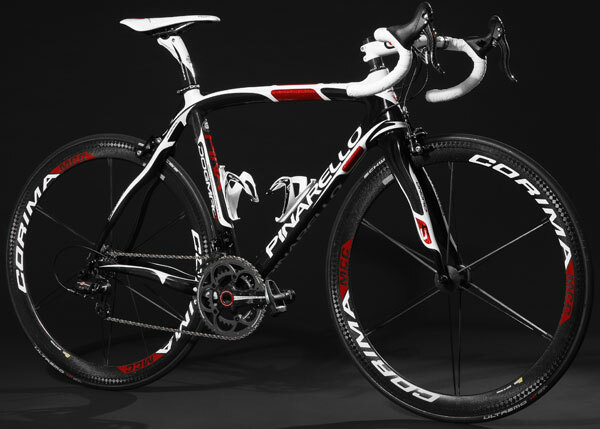 COLNAGO’S latest evolution of its pinnacle bike keeps the Italian brand at the top of many a wish list. 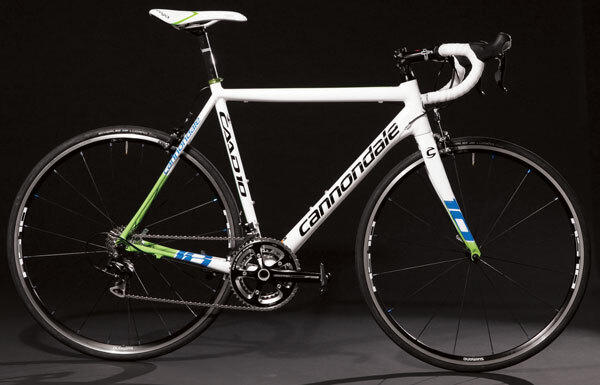 Internal cable routing and ribbing gives classic lines a modern edge. THE legend himself never had anything like the technology on offer here to help him in his innumerable successes. The EMX-7 is the cream of the crop that now bears his name and this Limited Edition version celebrates his palmarès. 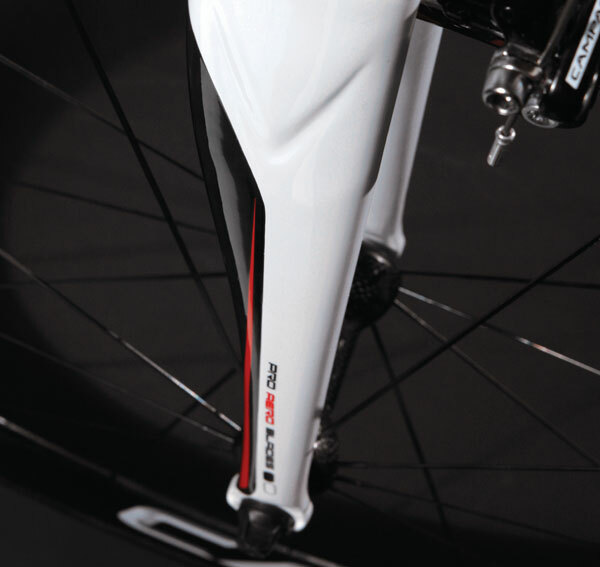 The custom-painted lightweight wheels even list his key wins. This article was first published in the May 10 issue of Cycling Weekly. You can also read our magazines on Zinio and download from the Apple store.